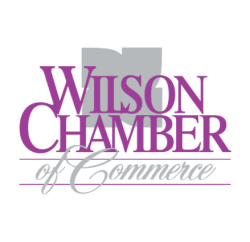 Small business is the heartbeat of the Wilson Chamber of Commerce. Join us in celebrating one of the most special aspects of Wilson. Small Business Month introduces our members to other events and services that are available to make area small businesses more competitive. In addition, we honor a community leader during the banquet who exemplifies service and small business leadership with our Small Business Leader of the Year Award. This year’s honoree is Will Farris with Farris & Farris Attorneys.